Apply for or renew a handgun license? Replace a lost or stolen handgun license? Find an SDA application or other form? Change my address on my handgun license? Get a criminal history background check? Update my criminal history record? Get a criminal history record expungement? Learn about Medical Marijuana and handgun licenses? 1970 - The legislature mandates that OSBI begin a statewide Uniform Crime Reporting system. 1970 - An intelligence unit and drug enforcement unit are created within the OSBI. 1971 - Director Carl Tyler proposes a Tulsa office of the OSBI. Five of the Bureau's 11 agents live in northeastern Oklahoma. 1973 - Agents are sent into the state penitentiary in McAlester to search for homicide victims following a riot at the prison. Inmates cause more than $20 million in damage to the prison during the riot. 1974 - Governor David Hall suggests the OSBI be transferred to the Department of Public Safety. The Oklahoma Sheriffs and Peace Officers Association unanimously adopted a resolution opposing Governor Hall's proposal to transfer the OSBI to DPS. 1974 - Four members of the Thrasher family, including a 4-year-old girl and a 9-month-old baby boy, are shot to death in their home near Woodward. The murders are solved after agents notice a gas station attendant's shoe print matches one found at the scene. The suspect is later convicted of the crimes and is given the death penalty. 1974 - Agent Sam Sparks and Firearms Examiner Ray Lambert use dendrochronology, the science of dating events by measuring growth rings in trees, to solve a case of pine log theft. 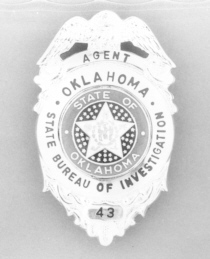 1975 - The new OSBI Director, Jeff Laird, issues an order prohibiting agents from driving bureau cars home at night. Agents are earning approximately $700 per month. 1975 - In ten months, twenty-six agents work a total of 6,618 hours of uncompensated overtime. 1976 - After the controversial investigation into Governor Hall, state leaders sought ways to lessen the political pressures burdening the OSBI. Consequently, the OSBI Commission is created and begins its service as the oversight entity for the bureau. The inaugural commission appointed by Governor David Boren are OCPD Chief I.G.Purser, Comanche County Sheriff Coy Rogers, DA Melvin Singleterry, Dr. Ron White, Jack McCarty, and Jim McBee. 1977 - After a lengthy debate on the need for regional crime labs, the legislature approves a $2.6 million appropriations bill for the OSBI. 1977 - Three girl scouts are found murdered in a field just outside their campsite near Ft. Gibson. An extraordinary manhunt is initiated by the OSBI in a hunt for the murderer. Gene Leroy Hart, a thirty-six-year-old Native American born in the area, becomes the focus of the investigation. Hart had escaped from jail on September 16, 1973, and had avoided capture for more than four years. However, on April 16, 1978, a contingent of OSBI agents, acting on information provided by an informant, captured Hart in a small house in a heavily wooded area in Adair County. The evidence against Hart was extensive. The tape used to bind the victims, along with other physical evidence tying Hart to the scene of the crime, was located in a nearby cave. Items from the campsite were found in the house where Hart was captured. An analysis of physical evidence, including sperm samples and other body fluids, revealed that only .0020% of the population met the unique characteristics contained in that evidence-including Hart. Despite this evidence, the local jury acquitted Hart. Three months later, Hart collapsed and died while serving prison time for his prior convictions. An autopsy revealed that Hart had died of a massive heart attack. 1977 - A double homicide is solved, and the victims are found after Agent Mike Wilkerson uses "searching peak of tension" polygraph technique. 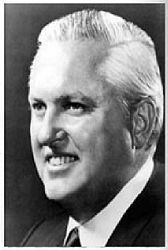 1978 - For the first time in its history, an employee is named director of the OSBI - Tom Kennedy. 1978 - Tulsa office reopened after being closed in 1976 by Director Laird.